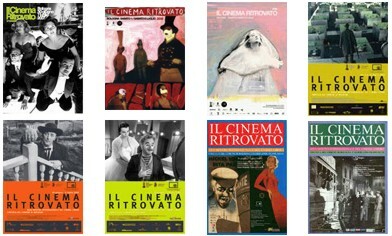 An outline of the Bologna festival of archive and restored films, Il Cinema Ritrovato, has been published. Promising “the most memorable eight days of 2008”, the festival takes place in Bologna, Italy, and runs Saturday 28 June to Saturday 5 July. Bologna always offers a rich mix of films from past decades, both silent and sound, and the great pleasure of attending is being taken from, say, a programe of short films from the 1900s to Cinemascope features of the 1950s, back to 1930s musicals and on to silent features. Its wise eclectism is matched by an eye for the timely and the unusual, and it is deservedly recognised as being among the world’s leading festivals of archive film. The silent section opens with a series dedicated to films made exactly 100 years ago, curated by Mariann Lewinsky. 1908 will offer a panorama of fascinating themes, national productions, technological attractions (also with sound! ), visions of the world and breaking news (from the London Olympic Games to the Messina earthquake) and cultural superproductions like Gli ultimi giorni di Pompei and L’assassinat du Duc de Guise, presented with Camille Saint-Saëns’ original music, during the final evening on Saturday July 5th, dedicated to the avant-gardes. Emilio Ghione (1872-1930) is the silent star of our 2008 program. The creator of Za la mort and I topi grigi (1918, this year’s morning serial) was a hugely popular actor and director in his day. He was at home in almost every genre, yet he retained an original touch, creating heroes and anti-heroes that were strictly his own with decadent, Gothic elements combining cartoon-like directness and ironic, unexplained elements, as if he was moving through mystical imprints. Gosfilmofond will have its 60th anniversary at the same time as Russian Cinema celebrates its 100th anniversary. It is thus apt to celebrate the life and work of Lev Kuleshov, one of the fathers of Soviet Cinema and its first great theoretician. Yet his work is little known with the exception of the captivating fun piece The Extraordinary Adventures of Mr. West in the Land of the Bolsheviks (1924) or perhaps By the Law (1926), a harsh adaptation of Jack London. Thus our season will come as a big surprise to many, the testimony of a nuanced, intelligent director inventing a language that reflected everyday life along with the passion and history of the Soviet Union of his time as well as international realities. There are famous titles that most of us know only from books – The Death Ray (1925), The Gay Canary (1929) – and highlights like Gorizont (1932) or The Great Consoler (1933), and even later evidence that Kuleshov (and his actress wife Khokhlova) never lost enthusiasm and creativity. With the section Irresistible forces: Comic Actresses and Suffragettes (1910-1915), Il Cinema Ritrovato will proceed with the exploration of the origin of comic cinema, this year through a feminine eye. Those are the years of the Suffragettes, characterized by women’s fight for their fundamental rights, as witnessed by the collection of actualities and newsreels preserved by the British Film Institute/National Archive. In this context, characters like Rosalie, Cunegonde, Lea, Gigetta and the wild sisters Tilly and Sally have an explosive and freedom-breaking impact. While last year’s Chapliniana still echoes in our minds, this year we will launch an annual “Chaplin’s filiation” program with a series of films devoted to Monta Bell, Chaplin’s assistant on A Woman of Paris (1924) and a wonderful director in his own right, as our selection – Lady of the Night (1925), Pretty Ladies (1925), Upstage (1926) – proves beyond question. At the crossroad of a Sternberg retrospective, we will dedicate a dossier to The Seagull/Woman of the Sea (1926), one of the most famous “lost films” of all time. The film was shot by Sternberg and produced by Chaplin who did not like it and eventually refused to release it. 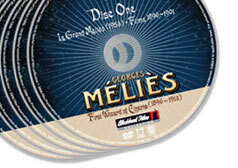 Its intriguing story will be traced with images and rare documents gathered from many sources. Other strands include Josef von Sternberg and Marlene Dietrich, Warner films of the 1930s, films based on the work of Giovanni Guareschi (creator of Don Camillo), Cold War films on the atomic bomb, and a Cinemascope selection. There are full details on the festival, its venues, booking etc., plus details of the Film Restoration Summer School on the site (in Italian and English). But look out also for the Archive section, which has PDFs on all past Il Cinema Ritrovatos, 1986-2007, plus an Excel spreadsheet listing every film title featured at the festival over those years – a really useful resource (just a shame the spreadsheet doesn’t include the name of the archive which supplied each print – for that you will have to cross-check via the individual programmes).